Bruno, who has not fought since being knocked out by Mike Tyson in 1996, has been suffering with bipolar disorder in recent years. However, he told ITV's This Morning: "I've been in the gym all the time, that's why I want to come back into boxing." Asked if it was a good idea, Bruno replied: "I haven't got a choice." Bruno, who made his professional debut in 1982, says he returned to the gym to burn off energy and does not like to be "mugged off" when challenged by younger boxers. "I can't sit down and let these so-called promoters say Anthony Joshua can knock me out in two rounds when I'm not even dead," Bruno added. 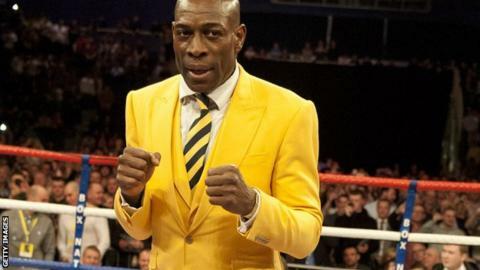 However, Bruno later said that his agent had been told by the British Boxing Board of Control that it would not accept his application for a licence.